The process of researching, visiting, selecting, and applying to college is an important one. Our goal as a Guidance Team is to actively support students and families as they learn about and navigate their college options. What is Florida Virtual School? Below are some helpful resources that will help you in finding the college or university that is the best fit for you! College Search An online tool provided by College Board that lets students search for colleges with the characteristics they're looking for. Colleges That Change Lives Colleges That Change Lives, Inc. (CTCL) is a non-profit organization dedicated to the advancement and support of a student-centered college search process. Princeton Review Find the right school, learn about paying for it, and more. U-CAN The U-CAN (the University and College Accountability Network) website is a free "consumer-informed college information Web site" that offers a variety of college information that could be helpful in a student's college search. Every year we have admissions representatives from in-state and out-of-state colleges in the nation visit the TMA campus. We encourage 9-12th grade students to visit with the college representatives. All presentations will take place either during lunch or the flex period. 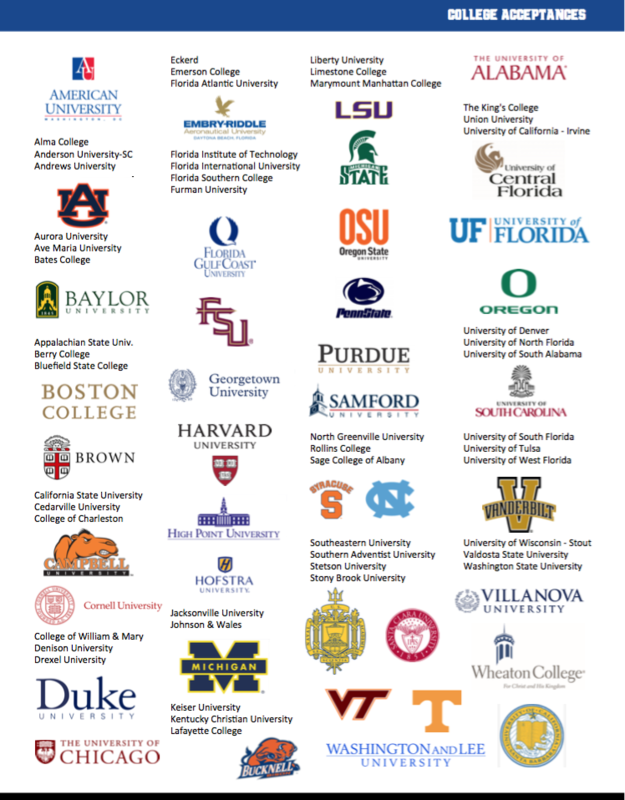 Students must pre-register for each college visit by registering on Naviance. ​Applying to College - ​Khan Academy offers guidance from experts on topics such as admissions essays, letters of recommendation, and alumni interviews. Naviance (Family Connection) - use Naviance to search for information on schools, view and register for upcoming college visits to TMA, create a list of colleges you are interested in, request transcripts, upload your resume, request teacher recommendations. Common Application - Nearly 700 colleges, only one application. Coalition Application - over 90 colleges, only one application. S.S.A.R - Self-reported Student Academic Record. The SSAR allows you to enter, track, and submit your academic record electronically to participating colleges and universities. Attention Freshmen, Sophomores and Juniors! If you have a documented learning difference or physical disability, please contact Mrs. Glemser to determine if you are eligible to receive special accommodations such as extended time for standardized testing. Take the ACT on your home turf! TMA is now an ACT testing center! Please use this opportunity to test in a smaller group setting on a campus you are already familiar with! When registering for ACT look for our test site code: 232740. Space is limited on testing day so make sure to register quickly once you determine what date you will test on. TMA is now an SAT test center. Students can start registering to test here for the January 28th SAT. Our site code 10-557. This is a great opportunity of our students to test at small and familiar location which may help with test day anxiety. TMA students are not guaranteed space so they must register as soon as possible. When registering for the SAT or ACT please make sure to include our high school code: 101-897. By including this code, CollegeBoard and/or ACT will know to send scores to us so we can include it in a student's cumulative record.